Are you shopping for ideas on what lens to buy for your Sony A6300? If yes, then you come to the right place as we are discussing the best lenses for Sony A6300! The camera lens, accessories in general, is one of the key factors for a photographer to constantly get the image quality they desire. Unfortunately, the lens of each camera is designed for a specific purpose. This is the reason, for some cameras, they have a changeable lens to add more flexibility. Sony A6300 is one of those cameras that have changeable lens. There are lots of lens options available that you can choose from. So, you’re assured that no matter what you shoot, there is a lens exactly matches to it. The only question is what are those? There are different ways to answer this question, but the simpler one is by knowing its compatibility to your camera and the type of lens you prefer. The first thing to do in determining the lens compatibility to your camera is by checking the lens mount type of your camera. The A6300 lens mount is Sony E. If E-mount lenses options don’t satisfy your need or interest, you can also check FE lenses as it is compatible with E-mount lens. But before buying an FE lens, you have to consider its effects on A6300 like its much bulkier and heavier compared to E-mount lens; and focal length can work differently. Since A6300 crop factor is 1.5, a certain lens can become 1.5X more than its’ usual. So, if you have a 60mm FE lens; on your A6300, it will work as 90mm lens. Next is the type of lens. There are different types of lens namely: standard, macro, telephoto and wide-angle lens. A standard lens is one of the lenses that are easy to use since it offers a similar viewing angle close to the human eye. 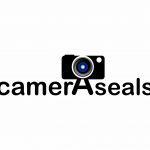 This makes it advantageous to use for shooting portraits, landscapes, and candid moments. A macro lens is designed specifically for close-up photography. So, no matter how small your subject is, the macro lens can capture it with good sharpness and extremely detailed. A telephoto lens is designed to capture subjects from moderate to far distance with high image quality. This is good to use if you’re shooting a subject that you can’t get near like wildlife. A wide-angle lens has the capability to zoom out a scene to capture more details. This is advantageous to use in photographing landscapes and other subjects that won’t fit into a normal lens’s field of view. The table below will show you the comparison of 5 different lenses and its’ compatibility to A6300. Note: The 5 lenses below are autofocus lenses. When it comes to optical performance, you’ll be impressed with Sigma 60mm F2.8 DN. It’s designed with optic special element of SLD glass, APS-C/DX max sensor coverage with a maximum aperture of F2.8. So, this lens can guarantee that it can quickly focus on subjects and at the same time produce sharp, shallow depth of field and good bokeh. The only disadvantages of this lens are: it doesn’t have image stabilization and weather-sealed just like A6300. With the image stabilization, it wouldn’t be a problem since this lens has an F2.8 aperture; while for the weather seal, you should be extra careful in using this lens whenever you’re shooting at the harsh environment. Sony 70-200mm F4 G OSS is one of the telephoto lenses that has been considered with superior performance. It covers full-frame sensor, has an internal focusing, constant F4 aperture throughout the range and fast at Tele end. While body and handling-wise, Sony 70-200mm F4 G OSS size and weight is a good match to A6300. The only disadvantage of this lens is it the aperture isn’t fast enough at the wide end. Sony FE 16-35mm F2.8 GM is a wide-angle lens that has a full-time manual focusing covers full-frame sensor and with a 35mm FF max sensor coverage and aperture of F2.8. With this aperture, this lens can guarantee fast and bright both at the wide end and tele end. Also, to ensure maximum durability, its optic is designed with special element of extreme aspherical & ED elements and Nano AR & fluorine coatings. The only disadvantage of this is its lenses extents while focusing. Sony FE 90mm F2.8 Macro G OSS is a macro prime lens that has full-time manual focusing, focus distance limiter and features on optical image stabilization that helps to capture much sharper images at lower shutter speed rate. So, no matter how far or close your lens is from your subject, it will still end up with clear and sharp images. Body-wise, it’s very durable as it was built with moisture and dust resistant design. Sony FE PZ 28-135mm F4 G OSS is a standard lens that has a full-time manual and internal focusing, power zoom, with 35mm FF max sensor coverage and constant F4 aperture at 28mm. With that aperture, you can assure that it will have a fast performance on tele end; but couldn’t guarantee to be as effective on the wide end. This lens can be used for the general type of photography and a detailed landscape shot. Other helpful information in choosing lenses is diaphragm blades, the type of photography you’re shooting, autofocus capability with environmentally seals design, and image stabilization capability. What are Diaphragm blades and its purpose? Diaphragm blades are the ones you saw on the lens whenever you close your aperture. Some say, the more the blades an aperture has the better result it will have. Truth is, it will always depend on the photographers’ preference. If you’re a beginner, it’s safe to look for lenses with 9 diaphragm blades. But if you want to test out lenses with a lower number of blades, just don’t go less than 5. The type of photography you’re doing is always on the top list to consider when buying a camera or lenses. This is to ensure that what you’re about to buy is the best option for your needs. Research is the major key in here. Since Sony A6300 is known for having the fastest autofocus with environmentally sealed design, it will be great for your lens to have the same capability as well. Especially for the environmental sealed because it’s a great assurance that no matter the environment condition you’re experiencing during the shooting, your camera can stand it and protected. Though the latter feature is helpful to maximize the usage of the lens and camera, it’s optional. What are image stabilization and its purpose? In a simple explanation, image stabilization is a technique used to reduce blurring effect caused by unwanted camera shakes or shooting at a slower shutter speed. It’s proven to be helpful in capturing sharp images even you unsteadily holding your camera. But you should also know when to stop using it. Using image stabilization even it’s not necessary, like your camera is placed on a tripod or table, can break the stabilizing feature of the lens or add unwanted effect on your captured images. In photography, quality is the main game so it’s best to have a reliable set of gear on your side all the time. For lenses, all the above-mentioned products are a good match for all E-mount lens type cameras. But if we have to choose the best lenses for Sony A6300, it will be Sony 70-200mm F4 G OSS. Sony 70-200mm F4 G OSS is a good match for A6300 because compared to the other 5, it has the most superior performance – produces sharp images no matter how far the subject is, its body is designed with weather sealed for protection; and with its F4 aperture, it can work fast at the wide end. It’s also a plus that it has image stabilization. Though this isn’t as important as the other features, it still good your lens to have image stabilization because A6300 doesn’t have this feature.